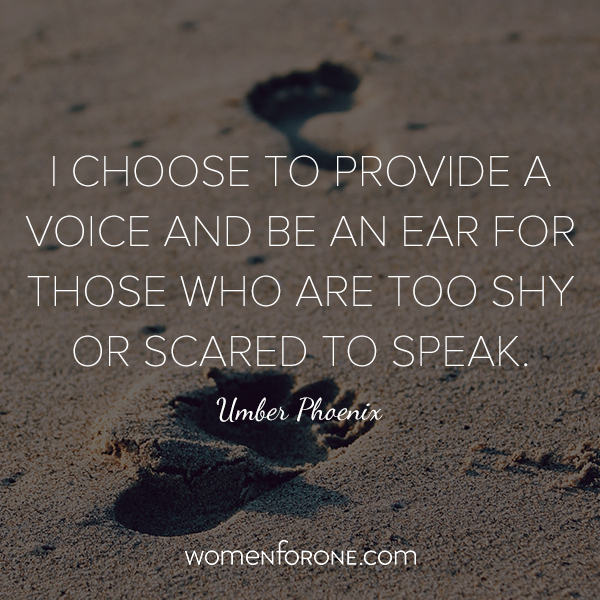 A while ago I was very lucky to be featured on a wonderful website "Women for One". I had chosen to write about what I know and something I could stand behind. So i decided to write about what I know and well, as before, it is about modelling. Particularity plus modelling and my desire to stand and represent those who are to afraid to speak. Im very proud to be able to stand up against bullying and discrimination with groups such as "Pin-Up's Against Bullying" and I highly recomend you checking out there work. I want to share with your an extract of the article on Woman for One, and the rest can be found clicking here. "Think of all the amazing things that you have done in your life. Think of all those boundaries you have overcame. In fact the very first achievement you have done in your life was being born. Because you are fantastic, you are beautiful. You can be anything you set your mind to being. You need to believe in yourself and keep believing." Please do check out there website and share the love and suport for all the members who take part in it.